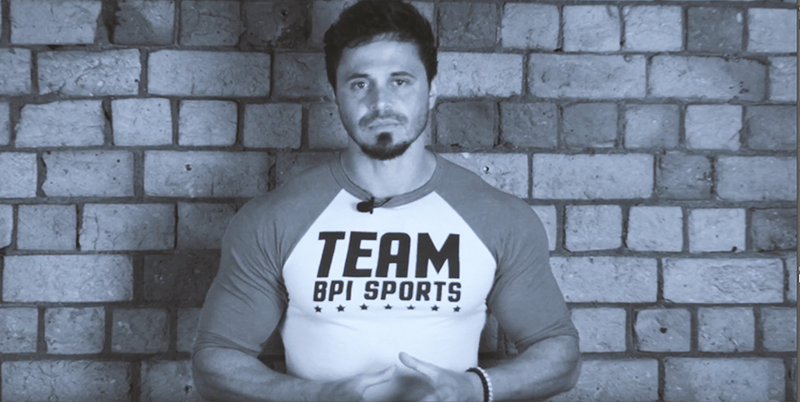 In this week’s episode of Muscle Intelligence, BPI Sports’ expert trainer, Tyrone Bell explains the difference between HIIT cardio and LISS cardio, as well as which is better for fat burning. “Today we’re looking at the two forms of cardio out there: low intensity steady state (LISS) and high intensity interval training (HIIT). We’re going to look at how each of the approaches work on a physiological level and of course, what everyone wants to know: which is best for your fat loss goals. Let’s have a look at the facts. First of all, LISS. LISS involves performing cardiovascular exercise at a steady, low-to-moderate state for the entire duration of the session. It requires your heart rate to be sitting somewhere between 60-70% of your max heart rate. You’re warm, but you’re not sweating. You can still hold a conversation during the session itself. Due to the pace of low intensity steady state, this cardio method requires oxygen as the energy source. Oxygen is pulled into your body with each breath, which binds to your fat stores to be burned as energy. This is what’s known as the fat-burning zone since oxygen and fat are fueling the activity. If you were to increase the pace, moving out of the low-to-moderate pace and increase your heart rate, your body will move into another energy source, swapping fat for carbohydrates as its source of fuel. This is how HIIT works. High intensity interval training requires short, intense bursts of activity, pushing your heart rate up to 80-95% of your max heart rate, then returning to a lower recovery state and repeating this burst and recovery process for a set time duration. For example, bursts of sprinting followed by a lower, slower recovery pace. As mentioned, the fuel source when performing HIIT is carbohydrates. This is why LISS held the podium as the best form of fat-burning cardio for so long. While fat is being burned during LISS, HIIT is believed to burn more calories overall. This is due to the EPOC effect that occurs post-HIIT. EPOC, or post exercise oxygen consumption, allows your body to continue burning calories hours after your cardio session has ended. This is why many now hold HIIT in the top position. In the long run, HIIT will have more long-term, fat-burning effects. Yes, LISS may burn directly from fat stores during the session itself, but HIIT burns more calories, even if it is from carbohydrates. More calories burnt ultimately supports a better fat-burning result over a 24-hour period. The ultimate HIIT payoff is believed to be that post-exercise oxygen consumption, the EPOC effect. Or is it? Before you place HIIT in the first place, fat-burning position, we need to answer a very important question: just how much do you burn during this post-exercise oxygen consumption period? The science recognizes and backs the effect of EPOC all the way. However, it’s clear that you shouldn’t get caught up in the hype that EPOC is some epic, fat-burning magic. Remember, far more important than the minimal calories burned in the EPOC are the calories burned in the cardio session itself, whether it’s HIIT or LISS. The next point that I think needs to be addressed and that I think helps determine which cardio type is best for you, is which cardio works best with your resistance training. You shouldn’t be doing cardio with the goal of burning fat without simultaneously following a resistance training program. But you need to be aware of how your cardio is affecting your resistance training. Low intensity steady state cardio is exactly that – low intensity. If you’re a healthy individual, it has next to no stress on your central nervous system. It’s effect on the localized muscles used in the cardio activity itself doesn’t interfere with recovery, and if anything, it can actually help by providing blood flow and helping to shift any metabolic byproducts still present from a weight training session. You’d have to have an extreme amount of post-exercise muscle damage present for LISS to interfere with any recovery processes. HIIT on the other hand, isn’t so user-friendly. HIIT is high intensity, which automatically stresses your central nervous system (CNS). Don’t get me wrong – CNS stress is what we do every time we weight train, but just like weight training, we need to carefully account for recovery to avoid over training. When it comes to performing HIIT, and the localized muscle groups being used are sore from previous weight training, good luck! Not only will your HIIT performance be down, but you’ll be seriously interfering with the recovery processes of those particular muscle groups. When it comes to implementing HIIT into your weekly weight training schedule, recovery has to be taken into account far more than with LISS. Considering the EPOC effect is not the almighty savior, the recovery interference and the CNS stress from HIIT, has LISS taken back it’s first place position as the best form of cardio? In my opinion, the fight for number one ultimately comes down to one’s lifestyle. Even if LISS is less straining on your CNS, it’s gonna be useless if the individual is so time poor that they can’t perform the length of LISS required to reach their fat-burning quota. Finding a way to schedule shorter, but equally calorie-burning HIIT workouts in and around someone’s busy week is going to be best. Likewise, if someone is following a full-on, aggressive weight training program, LISS is the best call to make sure not to interfere with any localized muscle recovery. The ultimate take home point here is that both methods burn fat, and both have their pros and cons. The best method is the one that you’re going to be able to perform consistently.